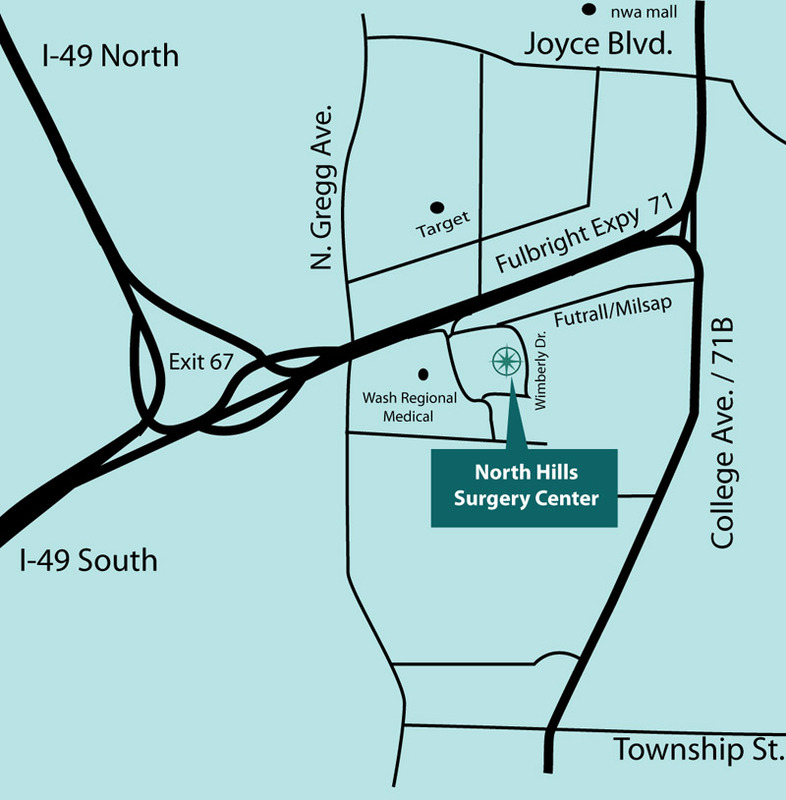 Welcome to NORTH HILLS SURGERY CENTER! North Hills Surgery Center has set the area standard for ambulatory surgery as one of Northwest Arkansas’ first free-standing outpatient surgery centers. 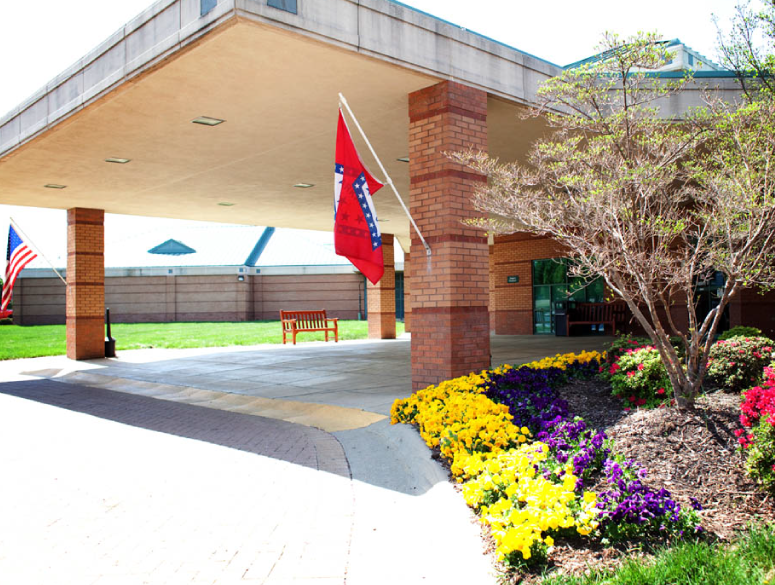 North Hills is dedicated to providing the highest quality health care in Northwest Arkansas. Designed for comfort, convenience, and privacy, we are located in the North Hills Medical Park in Fayetteville. The surgery center is easily accessible to both I-49 and 71B with ample parking designed for quick and easy access to our facility. We believe our patients deserve honest pricing without hidden mark-ups or unforeseen charges. "My experience at North Hills was top notched! Excellent care from everyone. Thank you!!" "All members kind, courteous and very helpful." "We had a wonderful as possible experience. Your clinic is beautiful and so clean." "The staff is terrific! Would recommend the clinic." "Entire team friendly and helpful!" "Entire staff was professional, pleasant & efficient. You have a well-oiled machine." "All were very helpful & surgery was very timely." "Well taken care of – excellent care from all involved." "First rate in every way, high competence! Thank you!" "All staff nice & informative." "We were very impressed with the staff & felt we were well taken care of." "Staff was excellent, caring and on top of it all." "Outstanding medical expertise, pleasant atmosphere, comforting." "Everyone in every area was great! Attentive & conscientious, friendly and personable." "Staff extremely friendly, professional A+, Thank you! We drove from Missouri, Great Service!" "Everyone is very nice & friendly as well as knowledgeable." "Each person we talked to was awesome!" "Thanks for all the great care." "Everyone professional & friendly. As good as experience as could be expected." "All staff recommended for my experience. Outstanding care, would recommend to anyone who would need your services." "We appreciate your surgery center for your professional approach." "The staff and doctors have been the most amazing we have experienced. The love and sweet care they have given to our son has been so life giving, Grateful!" "Excellent staff in every area!" "Everyone we came in contact with was wonderful." "Staff is extremely nice, kind and polite." "The staff made this experience special and not stressful at all. Everyone made sure my daughter was comfortable all the time, we will continue to come here." "Everyone was kind, gentle, patient and easy to be around. Thank you!" "Painless, efficient, friendly atmosphere, Thanks to everyone involved." "Everyone was very pleasant, helpful and very professional. One of the best facilities in Washington County." "Everyone we came in contact with was nice and caring. Wonderful experience for having surgery." "Every single person we came in contact with was friendly, respectful, informative, knowledgeable and attentive. Thank you so much!" "All the staff was helpful and made sure my mother was comfortable and understood everything. Thank you very much!" "All the staff were great! Impressed by all who served us. Everyone was kind and professional."